DR. PETER BERMEL is an associate professor of Electrical and Computer Engineering at Purdue University. 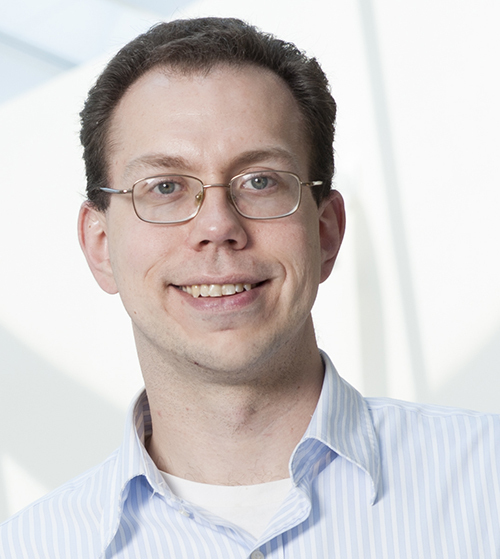 His research focuses on improving the performance of photovoltaic, thermophotovoltaic, and nonlinear systems using the principles of nanophotonics. Key enabling techniques for his work include electromagnetic and electronic theory, modeling, simulation, fabrication, and characterization. Dr. Bermel and his colleagues have built and made available on nanoHUB several widely used electromagnetic simulation tools, including the TPV efficiency simulation and TPXsim to simulate the efficiency of thermophotovoltaic systems; MEEPPV, a Finite-Difference Time Domain (FDTD) simulation for photovoltaic cells; and S4sim: a GUI to the Stanford Stratified Structure Solver, a frequency domain code to solve layered periodic structures. M. Ryyan Khan, Xufeng Wang, Peter Bermel, and Muhammad A. Alam, "Enhanced light trapping in solar cells with a meta-mirror following Generalized Snell's law," Opt. Express 22, A973-A985 (2014) [ http | pdf ] . Co-principal Investigator (with John D. Joannopoulos, PI), NSF, "Extreme Science and Engineering Discovery Environment," Grant No. OCI-10535, August 2011 - April 2013, Subcontract for 3.3 million service units. Principal Investigator, PRF Research Grant, "Modeling Nonlinear Comb Generation with Coupled Mode Theory," Grant No. 205957, July 2012 - June 2013, $17,241. Principal Investigator, SRC, "Designing and fabricating thermophotovoltaic systems for improved performanceand reliability," Grant No. P15383, October 2012 - September 2015, $255,000. Principal Investigator, Bay Area PV Consortium, "Exploratory > Photovoltaic Modeling and Simulation: An End-to-End Technology Agnostic Approach," Grant No. 13011422, January 2013- December 2015, $600,000. Directly responsible for $158,706. Principal Investigator, PRF Research Grant, "Multiphysics design and optimization of earth-abundant solar cells made from copper zinc tin sulfide (CZTS)," Grant No. 205958, July 2013 - June 2014, $17,241. Principal Investigator, NREL Non-proprietary Partnering Opportunity, September 2014-June 2015. Principal Investigator, Bay Area PV Consortium Grant, "Integrated approach to fundamental challenges in high-performance thin-film photovoltaics," January 2016 - June 2016, $125,000. Directly responsible for $48,000. Principal Investigator, NSF CAREER Award, "Thermophotonics for efficient harvesting of waste heat as electricity," February 15, 2015 - January 31, 2020, $500,000. Principal investigator, "Ultra-thin metasurfaces for redirecting light and managing thermal emission," Northrop Grumman Aerospace Systems, June 1, 2015 - May 31, 2016. $40,000. Co-principal investigator, Center for Integrated Thermal Management of Aerospace Vehicles (CITMAV), August 15, 2015 - July 31, 2017. Directly responsible for $129,000. Co-principal investigator, NEPTUNE Center, "GaN interface engineering," Office of Naval Research, September 1, 2015 - August 31, 2017, $2,000,000. Directly responsible for $280,000. Co-principal investigator, NSF PRIME Award, "Evaluation Framework for Advanced STEM MOOCs," November 1, 2015 - October 31, 2018, $799,923. Directly responsible for $180,000. Principal Investigator, NEC Corporation Award, "Characterization & filter design of high-performance rare earth-based thermophotovoltaics," December 1, 2015 - March 21, 2016, $31,284. Last updated: January 21, 2019.